Through the use of leading edge technology and the best trained people in the industry, Hupp Electric Motors has become an industry leader. Our dedication to quality and complete customer satisfaction makes us the smart choice for all of your motor repair needs. Our rewind process utilizes the Hupp Inverter Grade VPIE+ Insulation System® on all low voltage motors (208-230/460 & 575 VAC) and medium voltage rewinds up to 13KV. At the heart of this insulation system is a magnet wire rated for 2000 volts. In addition to this wire, we use the highest dielectric strength class H insulating materials. 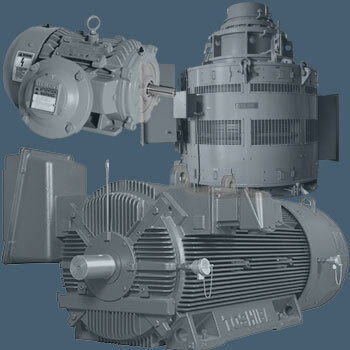 We offer a three-year warranty on all motor rewinds and a two-year warranty on all mechanical repairs.